Paradisus Resorts was expanding their services on the island of Puerto Rico. RMK worked together with Paradigm Associates in San Juan, Puerto Rico to develop a creative and appealing marketing campaign. 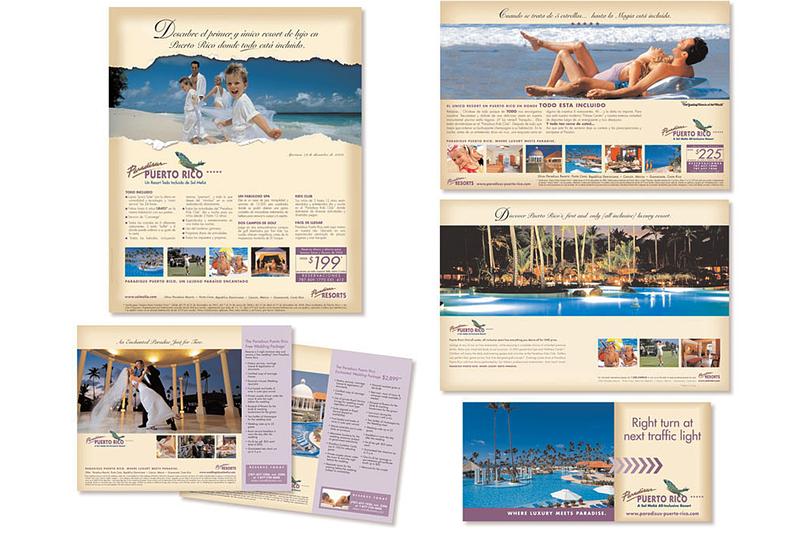 By combining print with television and developing high-end brochures to sell their villas as well as increase occupancy during low seasons. The result was a successful campaigned that has kept the client using our creative services. Winner of 10th Annual Optimus Award from the American Paper Corporation.